US markets are closed today for the Thanksgiving holiday. That’s the same as saying that half the world’s financial markets, by value, are taking a breather. After the past couple of rocky months, that’s perhaps no bad thing. Given that, I’ll turn attention to something else today – the world of art. On Tuesday, auction house Christie’s held an American art auction. It set new records, with total sales reaching a staggering $318 million. The following “tour de force” (as the Christie’s catalogue described it) was sold for just short of $68 million. 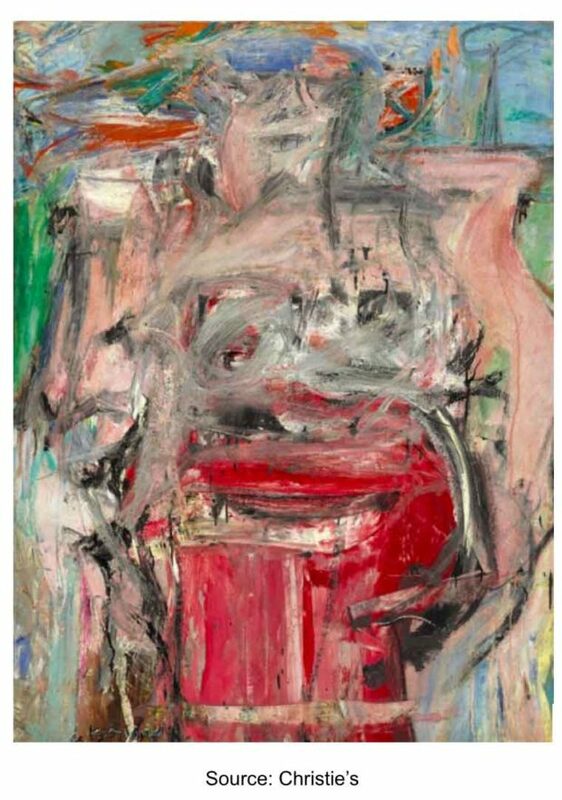 That’s “Woman as Landscape”, painted by Willem de Kooning in the mid-1950s. In the catalogue bumph, Christie’s said of it: “paintings such as this are now firmly established as part of the 20th century art historical cannon”. Personally, if I had a cannon, I wouldn’t waste the gunpowder required to launch this travesty into enemy trenches. (If they caught a look at it, it could be constituted as a war crime). Okay, I get it. Art is subjective. “Beauty is in the eye of the beholder”, and all that. But, even if you agree that Kooning’s painting is a masterpiece, the sky-high price tag is worth paying attention to. And do people really buy such stuff for its aesthetic value, or merely to speculate? Stories of record art prices always have me reaching into my metaphorical box of red flags. Art booms usually run parallel to financial market bubbles. This isn’t surprising, since a lot of the top-end buyers are billionaire hedge fund managers and other movers and shakers of the financial world (or their bored, but well-tended, spouses – see here for more about the “million dollar bag ladies”). 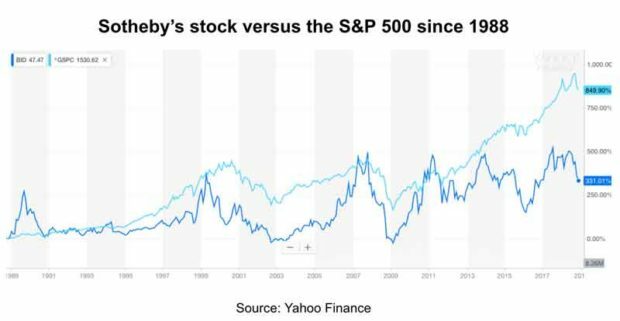 We can get insight into this by looking at the historical movements in the stock price of Sotheby’s (NYSE:BID), perhaps the most famous of the auction houses. Below is a chart that shows the stock price (in dark blue) going back to 1988 (30 years). I’ve also put in the chart for the S&P 500 index (light blue) as a comparison. Sotheby’s stock is feast or famine, as the art markets boom and bust. The late ‘80s saw the Japanese stock and real estate bubble, and Japanese buyers were out in force. 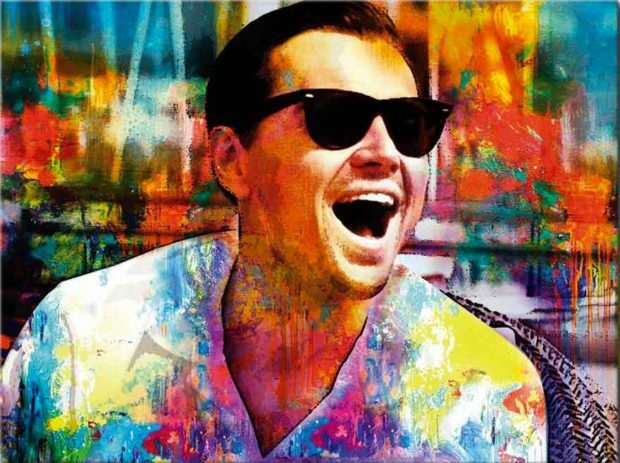 In the late ‘90s it was the turn of “TMT” stocks (Tech, Media and Telecoms) to fuel the art boom. Another financial boom happened in the mid-2000s (banks / financials, real estate and commodities). Since then, ultra-low interest rates and money-printing caused more bubbles to emerge (many sectors of US stocks, such as tech and consumer staples, practically all bond markets, various real estate bubbles). As you can see, Sotheby’s stock goes up when there’s a financial boom and down when there isn’t. Incidentally, it’s been a terrible stock to hold for the long term. Even at its current relative highs, it’s only managed to go up the equivalent of 5.2% a year over the past 30 years, on average. Meanwhile, the S&P 500 has managed 7.8% a year. Due to the power of compounding over very long periods (30 years in this case), that’s the difference between 4.7 times the initial investment for Sotheby’s and 9.7 times for the S&P 500. This excludes dividends, but that would just widen the gap. Sotheby’s hasn’t paid a dividend since November 2015, and also didn’t pay one between November 1999 and August 2006. If anything, Sotheby’s is a stock to trade from time to time and hold for just a few years. People that bought it at the 2003 low made 6 times their money by 2007 (a gain of 500%). Those that held on lost all those gains by 2009. Four years of mega-gains followed by two years of mega-mega-losses. More recently, Sotheby’s stock has begun to dip again. With the art market still achieving record prices, is this the canary in the coal mine for financial markets? After all, it fell earlier and harder than the broader market in 1999 and 2007 (see chart above). Only time will tell. 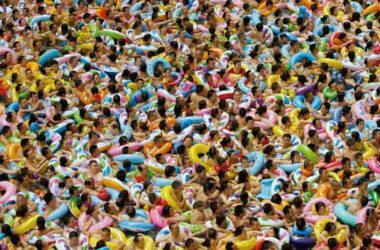 In the meantime, I’ve dug into the archives for some earlier musings on the bizarre nature of the contemporary art market. But it includes some serious thoughts about all investments. Click here to read it (and remember that it comes from 2014). I hope you enjoy it. Finally, I wish a Happy Thanksgiving to all my American friends and readers. Ferraris, real estate or stocks?